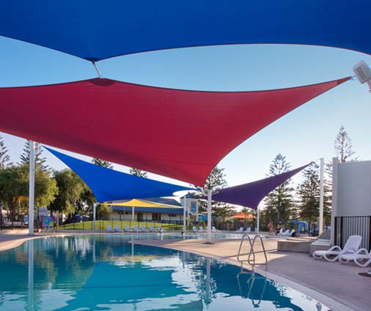 Adelaide Shores Caravan Park is a popular tourist destination that includes a large outdoor pool and play area. 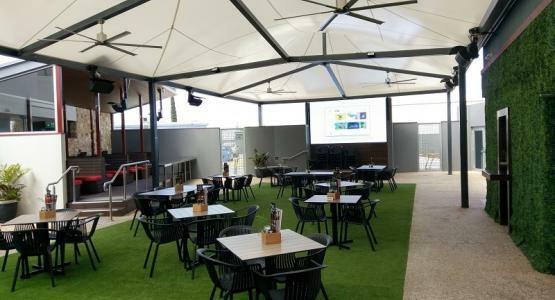 An important attraction for visitors, these areas recently underwent a complete re-development in order to improve customer well-being and increase visitor numbers. 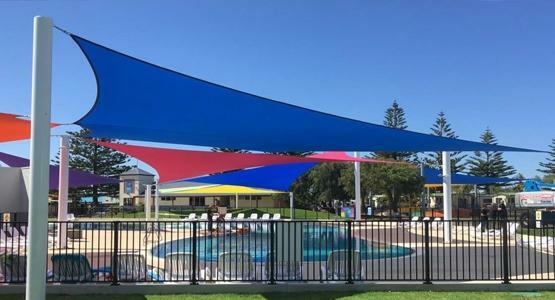 A state of the art lagoon pool and outdoor cinema were installed as apart of the upgrade, including the installation of three new shadesails. Careful consideration had to be made transitioning from old to new, as four of the old sails were to be re-used. 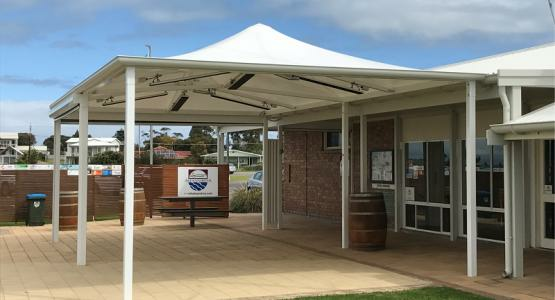 The old pool and sail posts were demolished to make way for the new rebuild, and a comprehensive survey was made in order to re-instate the new posts in their correct position. 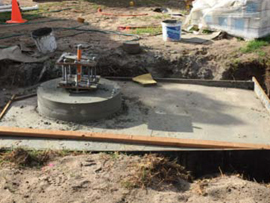 The watertable was a concern with the site being so close to the sea, and to make matters worse some of the footings were in close proximity to the pools soft edge. 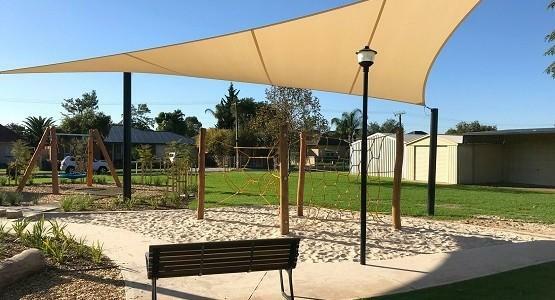 Shadeform worked closely with Partek Construction to manufacture and install the modernized Shade Structure, including custom pad footings to combat the complexity issues. 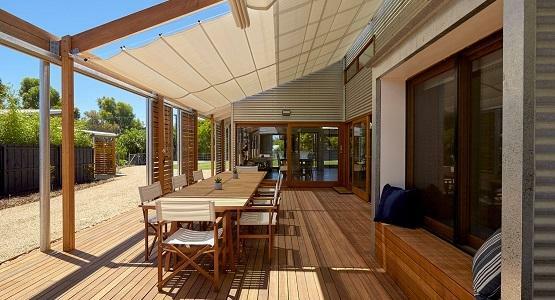 Extra-heavy duty fittings were used in order to make the Sail withstand strong winds along the coast. 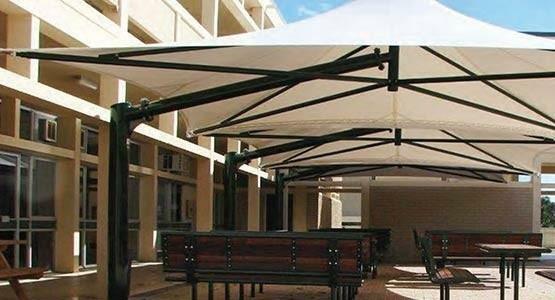 Having a well integrated and thought out design ensured the Sails would remain strong in the soft sand and withstand the test of time. 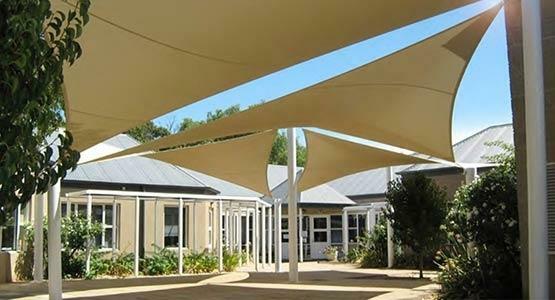 The final result is a great looking shade that keeps areas cool during summer, creates a stunning visual feature, and provides a fantastic source of UV protection all-year round. 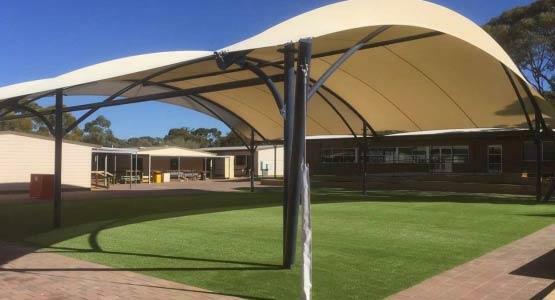 Soft sands and their lower soil capacity is an important aspect that often gets overlooked when constructing large shadesails near the coast. 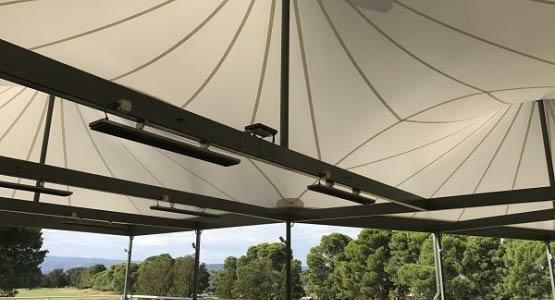 Because of this, poorly designed Shade Sails can have all sorts of issues including post movement, sail sagging, or even failure. 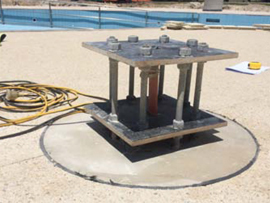 With firsthand experience in coastal situations, Shadeform have developed a specific design and installation process that utilizes pad footings. 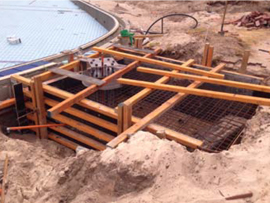 Tailor made for sand situations this process ensures that footings remain solid and each Sail stands the test of time. 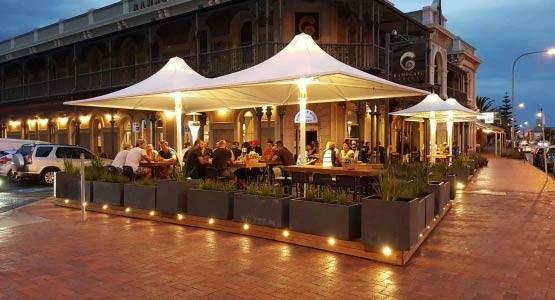 ♦ Templates removed - ready for posts! 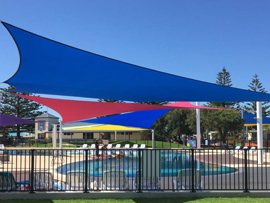 Columns Installed - Sails Up!!! The final stage - columns lowered over hold-down bolts, secured with double nuts, baseplate grouted, sails up!